What is a DCP Exhibition Kit, and do I need to buy one? than What is a CRU Drive, Exhibition Kit, or DX115 Drive? The Digital Cinema Package file itself. The type of device storing the file when sending it to a festival, distributor, or theatre. A DCP is just a digital file, so there are many ways to send it. You could put it on a hard drive, or burn it on to 40 DVD’s. You could even make a stack of 3.5″ floppy disks more than 9 football fields high (we did the math). 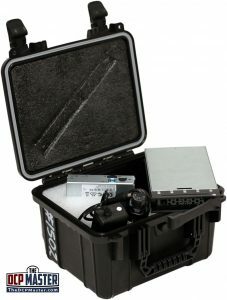 A “Full Kit” or “Exhibition Kit” packages a CRU drive along with extra cables and adapters into a plastic shipping container. These kits contain everything a projectionist may need to connect a drive all in one package. They also can connect in different ways if there is an equipment problem at the cinema. The plastic cases are the most durable for shipping (particularly repeated international shipping) but also are the most expensive due to size and weight. The industry standard drive format. Widest compatability with Digital Cinema Equipment. Multiple connection options in case of equipment problems. Speed of ingest / testing at theatre is usually the fastest. Most expensive option to ship due to size / weight. Can require maintenence and repair. A “Lite” Exhibition kit, contains only CRU drive in a laminated cardboard and foam container. The container is still durable for shipping, however the cost is much less. These kits are also much less expensive to ship due to the reduced size and weight. This type of kit is becoming the most common type of “CRU Kit” used across the world. Less expensive than a “full” kit. Cheaper to ship than a “full” kit. Widest compatibility with Digital Cinema Equipment. More expensive than a USB drive or key. More expensive to ship than a USB drive or key. Does not contain backup cables and adapters (most cinemas have their own sets). Some festivals, theatres, and distributors will accept DCP delivery on common external USB hard drives. These drives can be either USB 2.0 or 3.0. External drives can be somewhat complicated as there is no standard format. Some venues can work with regular Windows or Macintosh hard drives, but many require DCI “EXT2” formatting which cannot be created by most Windows/Mac computers. There is a wide range of drives to choose from, each of which will have different features. 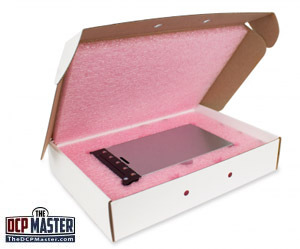 Less expensive to ship than Exhibition Kits. Wide range of readily available models to choose from. Many theatres / festivals / distributors will not accept External USB drives. External USB drives are most susceptible to damage during shipping. Require understanding of Hard Drive formats (HFS / NTFS / EXT). Speed of ingest / testing at theatre is usually the slowest. In many cases for short films or smaller projects, we have started recommending “ruggedized” flash keys over external USB drives. These solid state drives have fewer drawbacks than their USB cousins, and slightly cheaper than “Lite” exhibition kits. Many shockproof and waterproof models can be as (or more) durable than a full CRU drive. We’ve had reports of clients driving over these keys, and still having them work just fine. Their tiny size can also mean big savings on shipping costs. Extremely durable for repeated shipping. Least expensive option to ship. Less expensive than either CRU kit. Speed of ingest / testing at theatre may be faster than regular USB. Many theatres / festivals / distributors will not accept Flash USB drives. More expensive than external USB drive. Do I need to buy a Exhibition Kit outright? Many filmmakers want to own a full DCP kit so they always have one on hand. 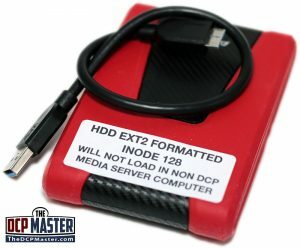 As an alternative, many facilities (such as TheDCPMaster.com) will rent kits as-needed. This may be a more cost-effective choice for filmmakers who need more than one kit at a time. Renting may also be a better option for filmmakers who don’t want to be responsible for testing and repair over a DCPs 5 year lifespan. Most filmmakers are not aware that most DCPs have a short life expectancy. Unlike 35mm film which can store for decades, all DCP formats use some sort of magnetic storage. Regardless of type, and even when not in use, DCPs will degrade over time. While many will last longer (and some shorter), we suggest assuming most DCPs with physical hard drives to have a 5 year lifespan. SDD or Flash-based DCPs will have a longer life, we currently project 10 years. However, flash media is rarely used in DX115 or CRU style DCP drives. 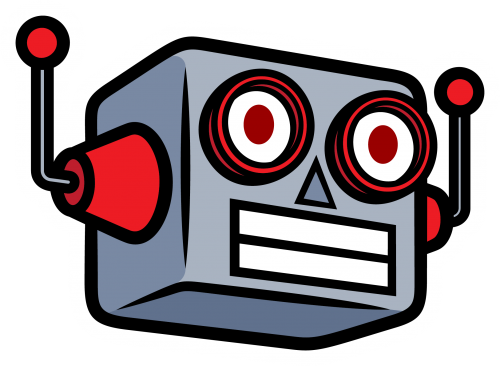 10 years may be slightly conservative, but we don’t feel comfortable yet with studies on long-term viability of flash-based media. Regardless – current DCPs are not suitable for long-term archival storage. Beyond their short life expectancies, they are also formats that can suffer irrecoverable failure. If you have assets you are looking to store long term, feel free to get in touch with us. There are many options for archival storage that we offer and we would be happy to discuss them with you. With Cast No Shadow we were working without a distributor – which is becoming more and more commonplace – but still had big needs with a multi-city release on DCP, followed by another Indie Film Series which had us on 20 screens across the country on the same night. The DCP Master team made it happen. They not only gave us top-notch service at a very reasonable price but also the sort of gentle and kind guidance we needed when working through our first DIY theatrical release. 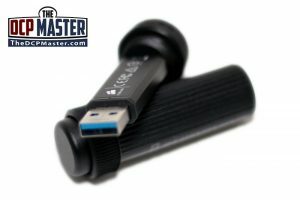 In the current climate of distribution in this country, I don’t how we’d do it without folks like TheDCPMaster.com. 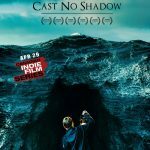 Chris Agoston, Producer "Cast No Shadow"